The course titled "Melanoma: new solutions, new dilemmas", organized by the Intersectional Committee for melanoma of the Serbian Medical Society and the Academy of Medical Sciences of the Serbian Medical Society and the Clinic for Plastic Surgery and Burns MMA was held at the Military Medical Academy. The Acting Head Col. Prof. Dr. Zoran Segrt welcomed the participants of the course which is held for the third time in a row at the MMA and emphasized that such an interdisciplinary approach to the disease is an excellent example of how the best results are achieved in medicine. 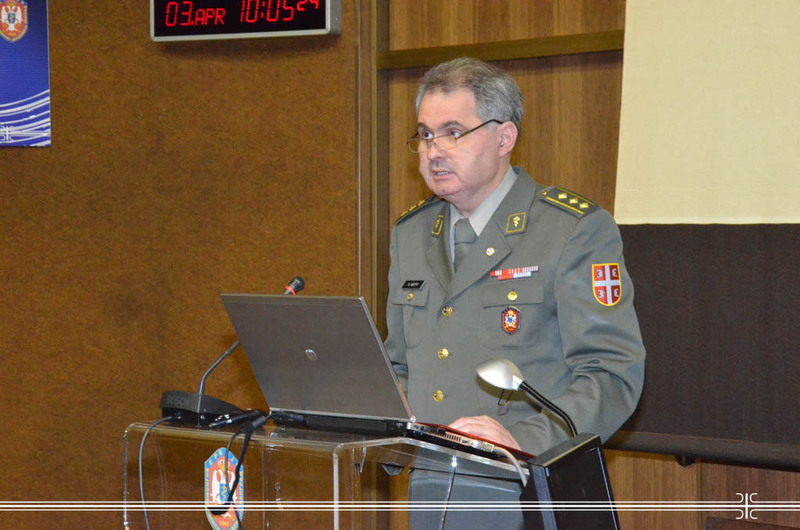 He said that the Military Medical Academy, mostly thanks to Prof. Dr. Marijan Novakovic, who is a president of the Intersectional Committee for melanoma of the Serbian Medical Society and the Academy of Medical Sciences of the Serbian Medical Society, has given the importance of treating melanoma in organizational and expertize way. He commended the efforts of the Committee to agree about the treatment of patients with melanoma, write a national guide of good medical practice, create a national registry and publish a monograph on this subject, and a great contribution to this effort is the course that is held, which brings together about 300 participants of different specializations. The permanent training and acquiring innovations that will contribute to better diagnosis and treatment are essential to all doctors involved in the process of health care in this field what brings satisfaction and benefit to patients and physicians. He added that prevention is one of the most successful pre-conditions of each treatment and expressed his pleasure that among those gathered are large number of epidemiologists, dermatologists, plastic surgeons, pathologists and medical oncologists from all medical centers in Serbia who are equally important in the treatment of this widespread and insidious disease. Topics of importance for this malignant tumor, which by frequency of illness takes the tenth place of all tumors, were encompassed during plenary lectures. The existing evidences for screening and its epidemiological characteristics with the aim at detecting timely the potential risk in individuals at certain age were presented as well as recommendations and limitations according to parameters of clinical studies and international studies on the effectiveness of screening. Also, the dermoscopic features of melanoma and dermoscopy were discussed which role is reflected precisely in the early detection of malignant change and the number of surgical excision reduction. Discussions went on about immunohistochemistry, i.e. prognostic-diagnostic markers and diagnostics of melanocytic lesions, and the participants had the opportunity to hear more about the standards in the SLN biopsy - minimally invasive diagnostic procedures and current dilemmas in terms of therapeutic effect and influence on the overall survival of patients. Lectures in the second part of the event covered innovations in the field of adjuvant treatment methods of this malignancy, BRAF testing conditions in metastatic melanoma, as well as innovative therapies and their availability, and besides lectures for course participants workshops were organized in the form of a series of cases demonstration elaborating specific clinical problems.